Our fitness gym includes over 15 CV stations most with their own TV. We have a mixture of conditioning machines for toning and improving fitness. We also have a free weights area with an extensive range of weights. Our latest addition is our Smith machine which allows you to bench press weights safely without the need for a spotter. Our fully qualified Fitness Instructor can guide and advise you on the best exercises and programme to suit your needs. Our 20 metre Swimming Pool is great for serious lane swimmers as well as those requiring a more relaxed splash. We have a varied programme of sessions that cater for serious swimmers, families, float sessions, water obstacle course, age groups, baby and toddler. Check out our full pool programme for times and availability. We also have a pool hoist to assist those that may find steps a problem. We also have a comprehensive learn to swim programme takes place 6 days per week. An extensive array of group fitness classes take place every week in our air conditioned studios. For full details on sessions check out our Fitness class time table. Our 3G artificial football surface gives you a more weather resistant experience over grass without losing all the positives of playing on grass. It is available to hire for matches or can be split into thirds for small sided games. It is also floodlit and so perfect for evening games/training in winter. This can be booked for casual use as well as for club bookings. 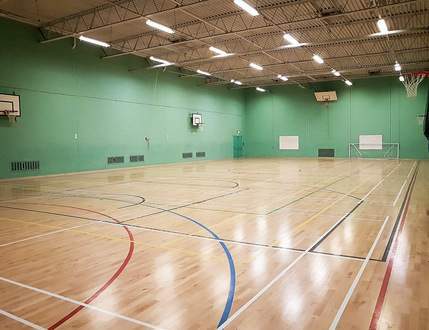 Our 4 court Sports Hall with its refurbished floor (2016) is used for a variety of purposes, including 5-a-side football, Badminton, Basketball, Children's Bouncy Castle, Birthday Parties and much more. 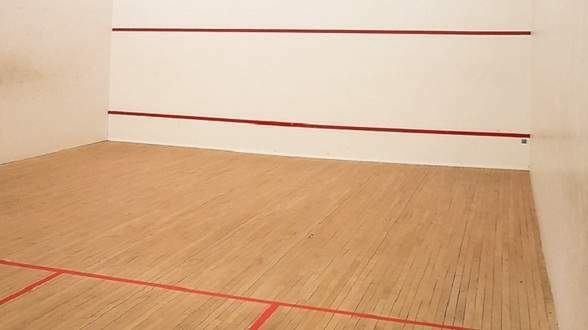 Our recently refurbished (May 2017) Squash Court with the latest LED lighting (approved by Squash England) is available on a pay and play basis. We also have racketball equipment for hire. We also run a squash league catering for a wide range of abilities.